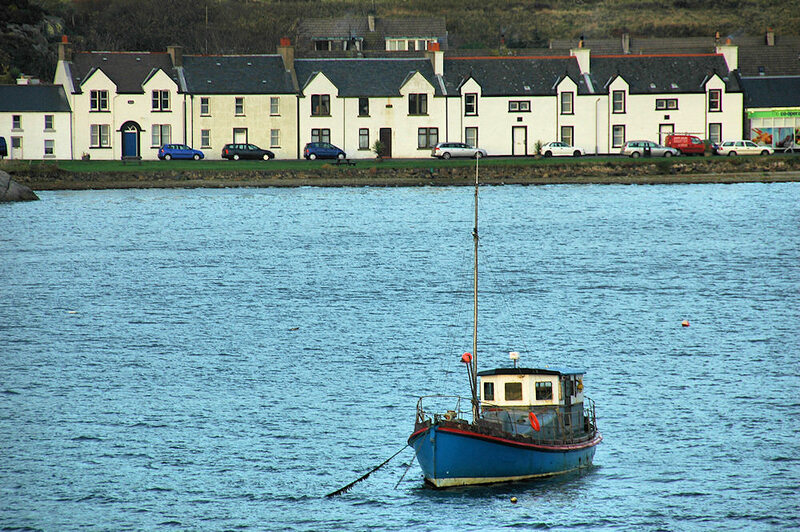 A boat moored in Loch Leodamais, Port Ellen. It is a former RNLI lifeboat, the Louise Stephens. Since I took this picture it has been sold to be restored and displayed in a museum. This entry was posted in Cloudy Weather, Repost, Sea Loch, Village and tagged Islay, Loch Leodamais, Port Ellen by Armin Grewe. Bookmark the permalink.